The U.S. has designated Iran’s Revolutionary Guard Corps as a terrorist group. Here, members of the force march during a 2007 military parade in Tehran. 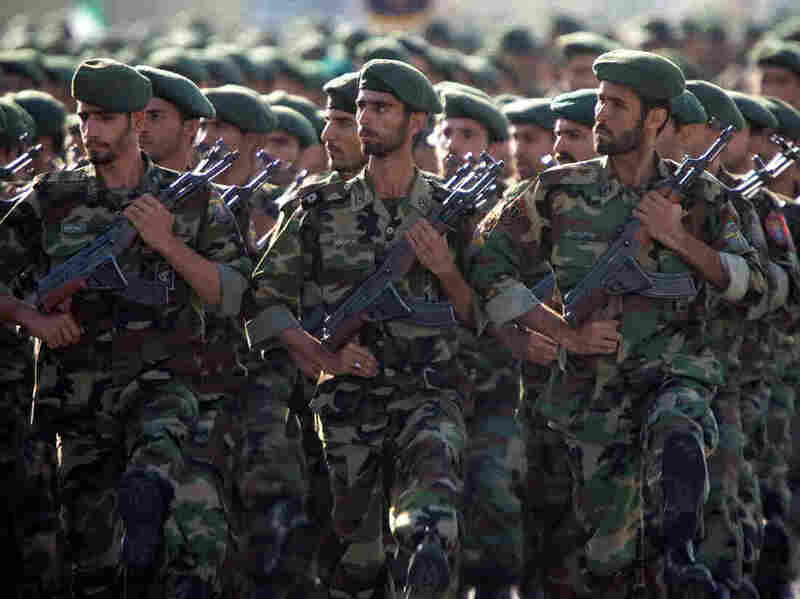 The Trump administration is designating Iran’s Islamic Revolutionary Guard Corps as a foreign terrorist organization, taking an unprecedented step as it seems to increase pressure on Iran’s regime. The move seems certain to bring a new level of tension between the two countries, as Iran’s leaders have said they will retaliate in kind. Iranian lawmakers have prepared legislation that would label the U.S. military as a terrorist group, according to Iran’s state-run IRNA news agency. “If you are doing business with the IRGC, you will be bankrolling terrorism,” Trump said. Major General Mohammad Ali Jafari, the commander of Iran’s Revolutionary Guard Corps, warned that if the U.S. labels his force as a terrorist group, the result would mean the IRGC could target the U.S. military the same way it currently targets ISIS. “If (the Americans) make such a stupid move, the U.S. Army and American security forces stationed in West Asia [Middle East] will lose their current status of ease and serenity,” Jafari said, according to the semi-official FARS News Agency. “I do not think that the Americans will be that much out of their mind to designate the IRGC as a terrorist organization,” Iranian Parliament Speaker Ali Larijani said, according to FARS. The administration laid out some of its evidence for the move last week, when the State Department’s Brian Hook, U.S. Special Representative for Iran, blamed Iran for the deaths of hundreds of American service personnel in Iraq. “Iran is responsible for the deaths of at least 608 American service members” in Iraq, Hook said, citing U.S. military reports. NPR’s Michele Kelemen contributed to this report.